Software giant Microsoft will going to release much awaited operating system Windows 8 on October 26 through World wide. 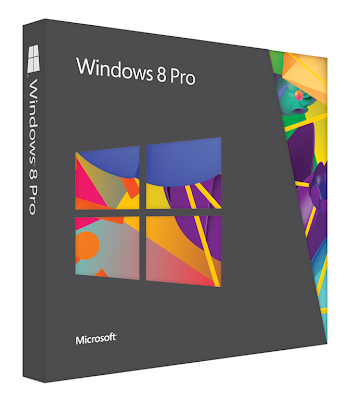 Microsoft offers promotional offers users can upgrade windows 8 pro operating system for just Rs. 699. If you buy a Windows 7 PC between 2 June 2012 and 31 January 2013, you can get Windows 8 Pro at a special promotional price for just Rs.699. This upgrade offer available in 140 countries and 37 languages. This offer available up to 31 Jan 2013. If you are the eligible person(buy a Windows 7 PC between 2 June 2012 and 31 January 2013) to get Windows 8 promotional offer. Go to this promotional offer site www.windowsupgradeoffer.com/en-IN then Click continue button, then fill that form with your valid details then Submit. Also starting today, you will be able to pre-order new Windows 8 PCs and devices from OEM partners such as Acer, ASUS, Dell, HP, Samsung and Sony. After you have been confirmed as registered for the Windows Upgrade Offer and after the general release of Windows 8 on October 26, 2012, you will receive an email with a unique promotion code, instructions for ordering, and a link to the ordering website. If you have any doubt please ask in comment section or read detailed FAQ page given by Microsoft. actually i am using windos 7 in my desktop sir. You have to use original version of Windows 7 and it maybe bought after 2 June 2012..